Over the last few decades, the number of Americans receiving Social Security disability benefits has continued to increase dramatically. In fact, many of us probably have friends or family members who are receiving disability benefits. Once people become eligible, they are often confused about the type of benefit they are receiving, whether they are allowed to go back to work in the future, and if they do, what will happen to their benefits. There is a lot of misinformation about Social Security benefits, and it’s very helpful to have a basic understanding of how the program works. Myth: All disability benefits are the same. Fact: Social Security offers several types of disability benefits. The two main benefits administered by Social Security are Social Security Disability Insurance (SSDI) and Supplemental Security Income (SSI). You can receive SSDI when you work long enough to reach “insured” status for disability benefits. For most Americans, this means working five out of the last ten years, although younger adults can become approved for SSDI in a shorter time. The amount of an SSDI benefit is based upon several factors, including how long a person worked and paid Social Security and Medicare taxes, and how much they earned while working. 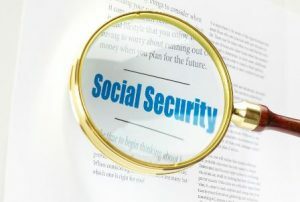 SSI is not actually a Social Security benefit, although it is administered by Social Security. SSI is a needs-based program for disabled individuals who have not worked enough to reach insured status. Currently, the maximum amount of SSI one can receive is $721 a month. Another major difference between the two programs is that SSDI eligibility allows an individual to receive Medicare benefits after a 24-month waiting period. When an individual receives SSI, he or she is automatically approved for Medicaid (also known as medical assistance). Myth: If I go to work while receiving disability, I’ll lose all of my benefits. Fact: This is definitely not the case! Social Security encourages disability recipients to go back to work, and they offer many incentives to encourage them to work, even if only part-time, and still keep many of their benefits. Under the SSDI program, Social Security offers a nine-month Trial Work Period that allows beneficiaries to try out working with no limit on how much they can earn, and they can still keep their cash benefits during this time. After the Trial Work Period ends, Social Security will review your earnings and allow you to keep your SSDI payment if your countable monthly earnings are under a certain amount ($1,070 in 2014). This number is known as Substantial Gainful Activity. If your earnings are above this amount, and you stop receiving your SSDI check, Social Security offers another safety net that allows you to get your benefits back automatically without having to reapply for disability if your earnings fall under the Substantial Gainful Activity amount. This work incentive lasts for three years after the Trial Work Period ends. Under the SSI program, earned income decreases your SSI payments, but Social Security only counts less than half of your earned income when determining how much of an SSI check you are eligible to receive. Because of this, you will always come out ahead financially by working! Myth: If I start working, I’ll lose my health coverage. Fact: Social Security recognizes how important it is for beneficiaries to keep their health coverage if they go back to work. Under the SSDI program, if you lose your cash benefits because your earned income is too high, you can keep Medicare for a minimum of seven years and nine months after the Trial Work Period ends. In many cases, you can keep Medicare much longer than this. Additionally, the state of Maryland offers a Medicaid buy-in program for adults with disabilities who begin working. This program is called the Employed Individuals with Disabilities Program (EID), and it offers Medicaid coverage for working Marylanders with disabilities who otherwise would not qualify for Medicaid. The other great thing about this program is that it will cover many of your out-of-pocket Medicare expenses! Under the SSI program, you can keep your Medicaid eligibility in many cases even if you earn too much to receive an SSI check. As long as you meet a few conditions, your SSI and Medicaid coverage can continue indefinitely even if you don’t actually receive an SSI cash payment. If you ever lose your SSI eligibility because your assets or income are too high, you can also apply for the Employed Individuals with Disabilities Program. EID has much higher income and asset limits than SSI, which can allow you much greater financial freedom than remaining on SSI. If you or someone you know has a disability and is interested in returning to the workforce, a good resource for employment assistance is the Division of Rehabilitation Services. DORS is the state of Maryland’s vocational rehabilitation program tasked to help people with disabilities receive the training and supportive services they need to find and maintain successful employment. DORS also provides benefits counseling, which can help you make informed choices about employment and the impact it may have on your benefits. Jewish Community Services also has trained benefits counselors who work with clients to help them understand their options. For more information, contact Jewish Community Services at 410-466-9200 or visit www.jcsbaltimore.org.